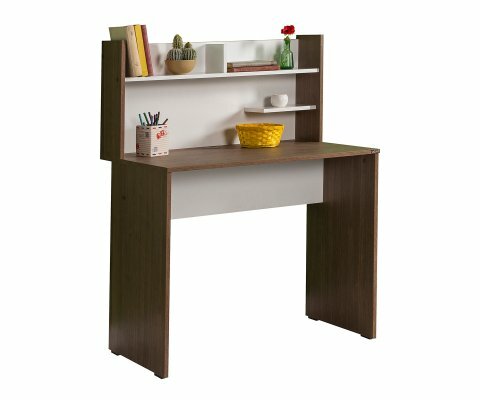 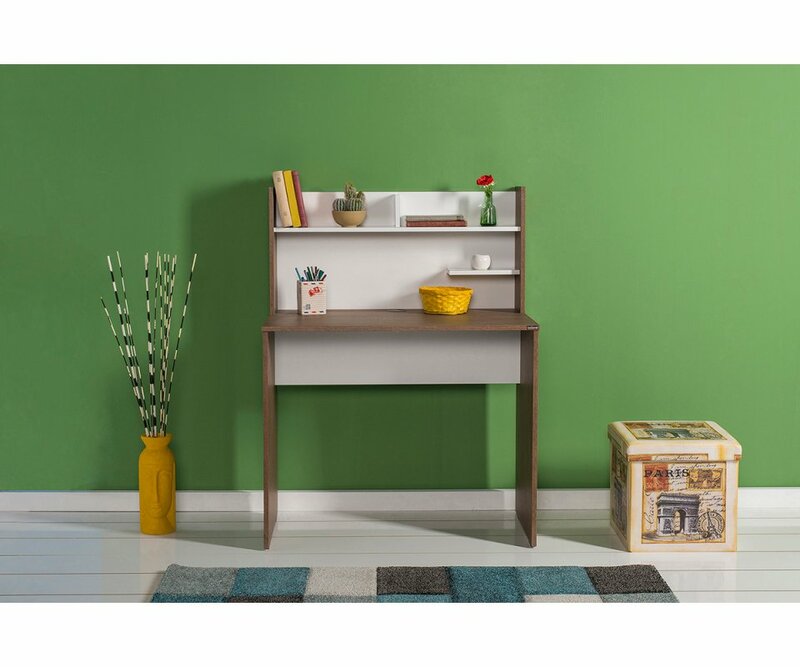 The Plus Desk with Shelf combines a decorative wall unit style with an efficient workspace for your projects, computer work, and studies! 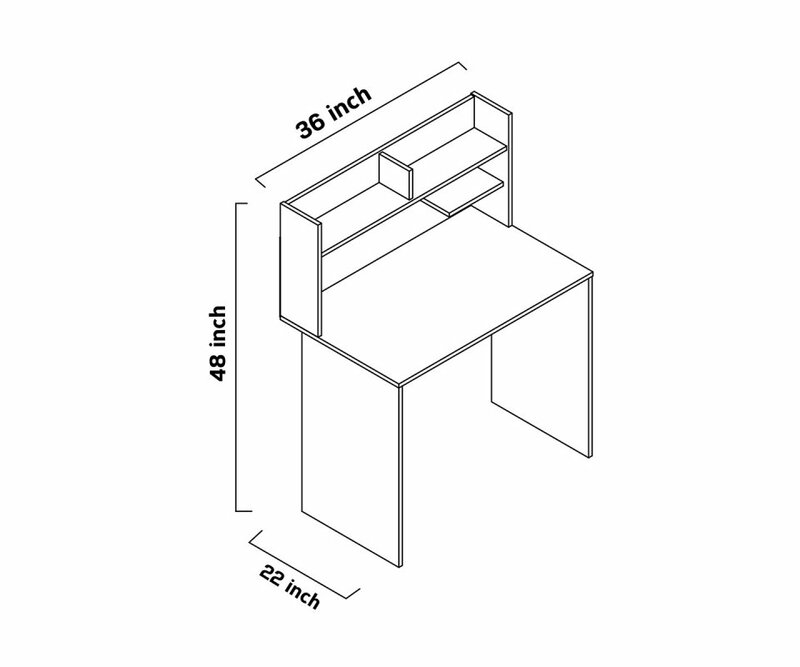 At 35.5” W x 21.7” D, the compact desk size is perfect for downsized living, yet will fit just right in any bedroom, study nook, or computer room in the home or office. 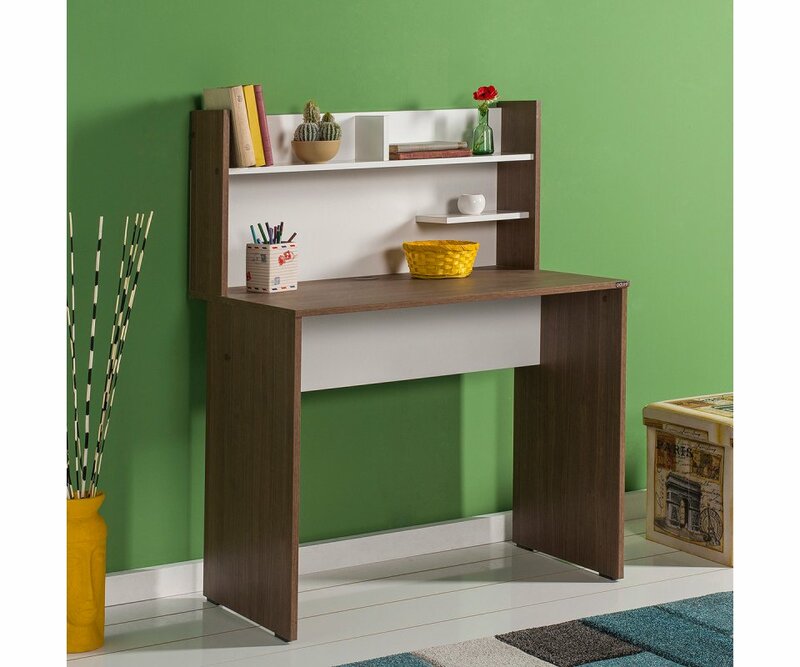 It is built to last, from top-grade particleboard and steel hardware, ensuring that it will be sturdy and long-lasting, with a premium veneer finish that resists scratches, chips, water ring damage, stains and fading from UV rays. The desk is available in a rich Walnut woodgrain combined with a solid High Gloss White, creating a neutral color palette that blends with traditional and modern home décor styles, as well as with most color schemes. 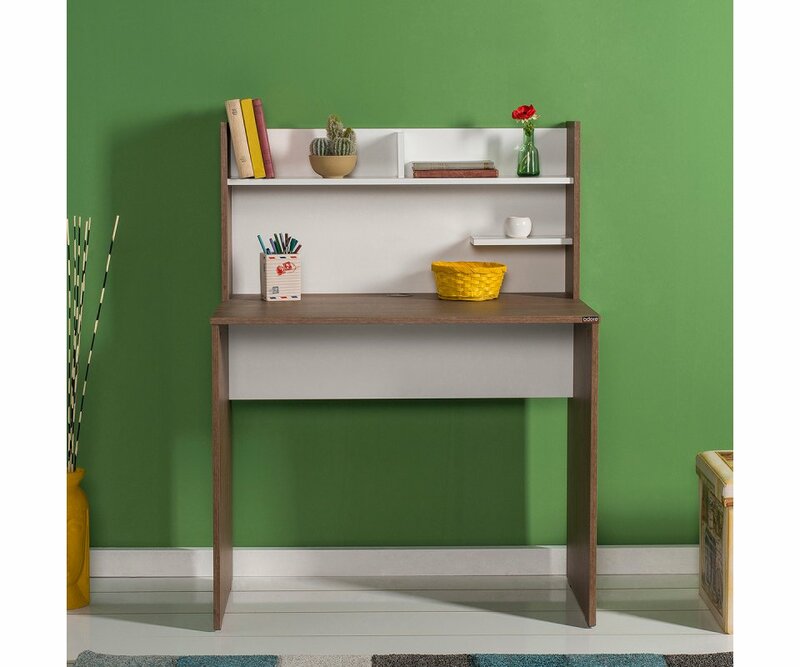 The back panel provides a display area, complete with staggered and divided shelves, to keep your favorite photos, books, and collectibles nearby, along with essential desk supplies that can be organized as you like!